We recently got a chance to catch up with one of our beloved faculty members, Richard Riaz Yoder. He’s been back performing on Broadway this season in Roundabout’s On The Twentieth Century alongside big stars like Kristen Chenoweth and Peter Gallagher. Though we miss being able to see his smiling face around the studio more often, we are so proud to have one of our teachers shining on stage! We know that he’ll only have more joy and insight to share with our SHUFFLES students this year. 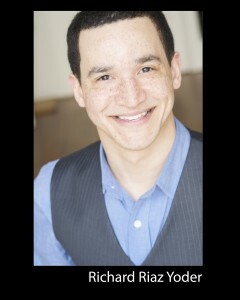 Career Highlights: Working on Broadway in On The Twentieth Century, working with Maurice Hines in Sophisticated Ladies at Arena Stage in DC, Performing on the Tonys, getting to work with Julie Andrews on a new show, and getting to teach on a regular basis with some of the best tappers in NYC at SHUFFLES! Who is your idol? Ben Vereen is one of them for sure. He is all around one of the best performers of our time. Savion Glover because he is one of the most brilliant tap dancers and choreographers out there. Kristin Chenoweth because she is so talented but also so very nice at the same time and such a joy to work with. I look up to anyone who is fighting for something and trying to make it in this business. The entertainment industry is one of the hardest businesses out there. What do you focus on most when teaching? It changes as I change as a performer and dancer. Sometimes I focus more on performance or musicality or technique. I think everyone has to be well rounded and focusing on multiple things is wise in my opinion. What’s your favorite part about being in the cast of On The Twentieth Century? Not only did I get to have a heavily featured part and share the stage with some of the most talented people I also got to perform with one of my best friends. It can be rare to work with people who are really good friends of yours so it is always nice getting the chance to do it on a regular basis. 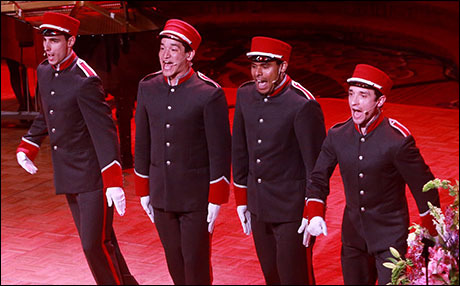 The Porters get to do a lot of tap dancing in the show (and even won an Astaire Award)! What’s your favorite number and why? One of my favorites would have to be Life is Like a Train. I think the choreography is simply brilliant and moves so well. The dance that I had the most fun in was Babette. 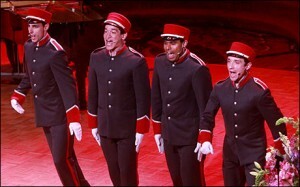 During the show the porters’ every step was choreographed. In Babette, while we did have a lot of choreography we also got the chance to interact with everyone else on stage. The cast was so funny so I was laughing the entire time. What does “tap dancing” mean to you? What role does it play in your life? It really means everything to me. It is one of my favorite dance styles and also has helped me with every part of my career. Do you have a favorite SHUFFLES memory inside or outside of the classroom? If so, what? Honestly I just love getting to walk into a place that is like a family every day. Everyone is so warm and welcoming. I love it! What are the most important things you hope to pass along to your students? I hope to pass on everything I know about performing and life so that they can learn from my trial and error and also be prepared for anything that comes their way be it as a performer or anyone else. We hope you got to catch him tapping up a storm before On The Twentieth Century closed in July! 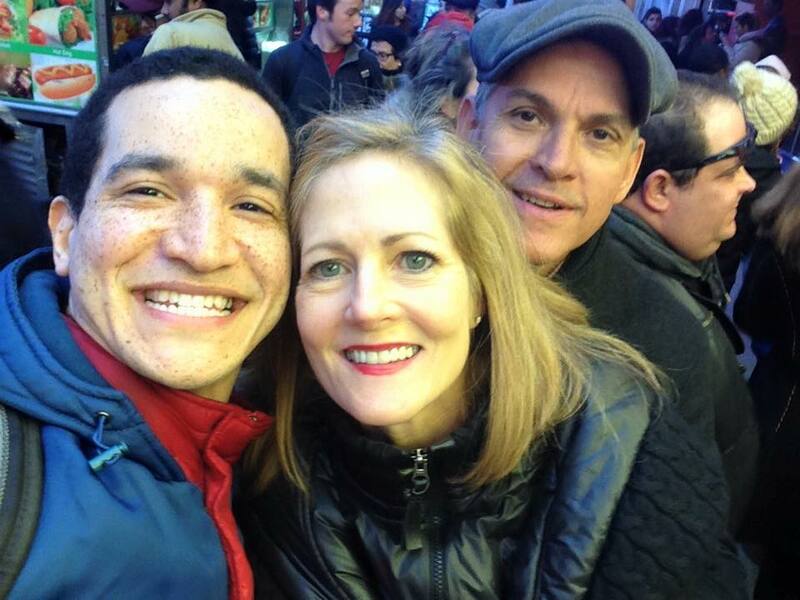 We can’t wait to see which stage Richard brings his joy to next! We know we’ll be their rooting for him and our students couldn’t be luckier to have him as a teacher.